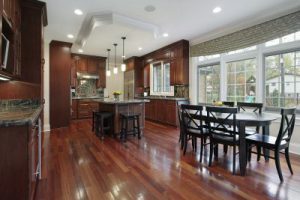 Remodeling your McKinney, Texas, home, might seem like an overwhelming project to undertake, but it doesn’t have to be. For a streamlined home remodeling experience that is as stress free as possible, allow the experts at Star Home Remodeling to assist you. Since 2007, we have been customizing clients’ homes to better suit their aesthetic preferences and meet their needs, and we’ll be delighted to do the same for you. And, as full-service remodeling contractors, we can take care of every aspect of your renovation from start to finish. This includes all steps needed for an entire kitchen remodel, bathroom renovation, and home addition. Because there are so many remodeling contractors offering their services in the McKinney area, it’s no surprise that a number of them operate by utilizing some high-pressure sales tactics designed to get you to quickly sign a contract with them. Here at Star Home Remodeling, we don’t do business that way. Instead, we put our customers first by providing a consultative approach, making certain our clients have all the information they need make the best decisions for their remodeling projects. This means that when you partner with us for your home renovation, you won’t ever be pressured to make any hasty decisions. Instead, you can enjoy taking your time learning about the variety of stellar products and services we offer and working with our skilled professionals to create your dream home. What’s more, we’ll always be upfront and transparent about all costs. To learn more about why we stand out from other remodeling contractors in the McKinney area, contact Star Home Remodeling today. We’ll be delighted to answer any questions you have and schedule you for a design consultation at our showroom or your home.